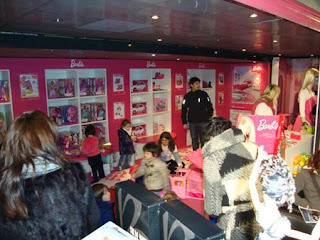 Today we were honored to be part of the funny and joyful experience at the barbie Bus . 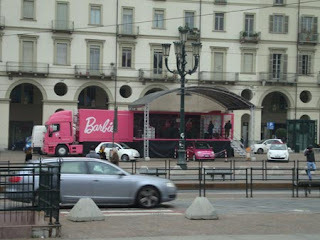 The Barbie Bus travelled across Italy from Milan to Rome, Venice, FLorence and Naple and more during this past month and today it was the last stop, in our own town Torino. 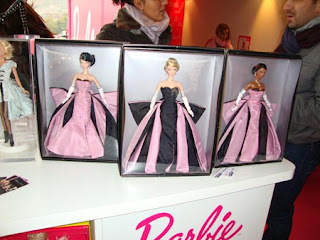 So, it was a pleasure to be part of this special stop in my own city, and be special guset as OOAK Designer and Mattel freelance designer for all the events we did during this past 2 years. 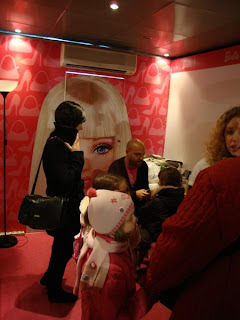 So we exposed our dolls on the barbie truck, with so much joy, playing with little girls, building new hairstyle for their dolls and of course discussing with adult collectors. At the end we had a very big surprise with a VIP guest. Mrs Luciana Littizzetto, one of the more funny and intelligent actress and tv star, came to join us on the Barbie Bus, to visit us and receive our OOAK Barbie in her tribute. We thank Luciana for her kindness. Here are some pics of the beautiful day in Torino.